Welcome to the ambulance billing FAQ page. Improving patient outcomes requires a reliable cashflow from the billing process. As a result, our work puts us in touch with a wide variety of administrative and field issues both. We will endeavor to publish common questions and answers here, be sure to sign up for our notifications, stay in touch!!! Can non-profit or volunteer rescue squads bill for rescue and ambulance transportation services? Absolutely!!! Making the decision to begin billing for the first time is a hard decision for community minded organizations. Once the decision is made however, it is important to work with someone who understands the "squad - community" relationship dynamics. Having a productive revenue recovery program does not have to mean that you have lose the support of your community, but the relationship has to be managed with care. It is often believed that using volunteer labor or being recognized as "non-profit" prevents billing for patient transports and rescue, this has not been true in any case we are familiar with. However, there are several factors that should be addressed before launching a revenue recovery program for your squad. 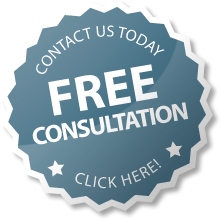 Contact our office today for a free, no obligation, consultation on this subject. We have been helping small squads succeed for two decades, call us at 1-800-635-7577. Do you soft-bill or hard-bill patients? Do we have to bill patients at all? Patient billing is one of the first things we will discuss with you as a new client. We are not a collection agency but we do work with patients to resolve their balances in whatever way the patient can afford. We treat patients like customers, we do not try to force patients to pay a bill. There are a number of ways to reduce your patient's out of pocket expenses for your services, we have helped with this in a number of communities. If an account needs to go to collections, we work with a number of third party collection agencies, but we are not in the "collection" business ourselves. Our clients have the final say on all matters affecting their billing, even patient accounts. If we identify a need for a third party collection agency with your billing, we can help you choose one and guide you through the process of establishing a collection policy and procedure. Does it cost more to outsource our billing? Isn’t in-house cheaper? What states or areas do you cover? Modern technology allows us to operate any where at any time. We can provide ambulance billing services in every state in the union, including our territories and insular areas. Distance does not limit your options for Ambulance Billing Services any longer. Begin by contacting our management team today. One of our managers will discuss your needs and your current situation with you so that we can map a path forward for you. We like to move quickly since our new customers are usually hurting financially. This initial conversation usually takes about 30 minutes. We will need a dedicated contact person on your end to assist us with the necessary paperwork. If your cash flow is currently intact, we will transition your billing in a way that minimizes the potential for disruptions. If your cash flow is already suffering we will probably suggest a crisis intervention approach to restore ambulance transport billing services and income immediately. We specialize in solving very difficult and complex cash flow problems for ambulance providers of all types. What impact does the new ICD-10 coding system have on ambulance billing and cash flow? We have upgraded our billing and claim management systems to use the new ICD-10 coding system and we have completed our employee orientation. Fortunately, EMTs do not usually diagnose a patient's condition in the field so ambulance billing relies more on the observed signs and symptoms, something ICD-10 supports just fine. A specific diagnosis may be required for an inter-facility transfer but that diagnosis should be available to the crew at the sending facility. Most payers report that they are ready for this change so we do not anticipate any problems that impact cash flow. However, we will be watching the transition carefully to make sure any unexpected problems are identified and addressed immediately. Providers should use this time to revisit documentation policies and procedures. The payers will not allow us to use a code for a condition that the EMT did not observe and document on the PCR for the transport being billed. This is especially problematic for non-emergent transports, repetitive patients and dialysis transports. EMTs do not receive a lot of training for documenting these types of patients. Providers should be working with their billing team to make sure that every PCR is complete and accurate. If you have not done so yet, sign up for our newsletters. We are releasing a multi-part series on ambulance documentation that will focus on non-emergency transports. You do not need to be a client to receive our eMails. Click here to sign up. Why do I need an Ambulance Billing Specialist? Ambulance transport billing contains highly specific coverage guidelines, billing policies and procedures. Additionally, the risk factors are significant and they are specific to EMS or Ambulance Billing. Long term success requires experience and expertise in every aspect of ambulance claim management. Billing is as specialized as the provider type being billed for. You would want an ambulance billing specialist in this situation for the same reason you want a cardiac surgeon, not a podiatrist, to do your loved one's bypass surgery. PMC has been helping EMS agencies succeed for two decades. We deal with the complex ambulance cash flow problems every day. When you're hurting financially you need a team of people who can help you turn the problem around quickly and efficiently. We do not charge setup fees for the typical client and we can offer large team crisis responses in a cash flow emergency. Call us today for a free, no obligation ambulance billing consultation at 1-800-635-7577. Web Development by Sloan Tech © 2015 Priority Medical Claims - All Rights Reserved.